Your big dreams may seem so far out of reach that the idea of going about actually making them happen makes your head spin. Even the act of writing down what you think needs to happen can feel overwhelming at first. Where people can get particularly tripped up is going at it without a plan to make the goals happen. Doing it that way is more like just wishing for something to happen instead of taking action to actually make it happen. This is also why so many people set the same goals and resolutions over and over each year because they lack the plan to make them happen. Here’s how to create a plan that makes doing it a lot easier. 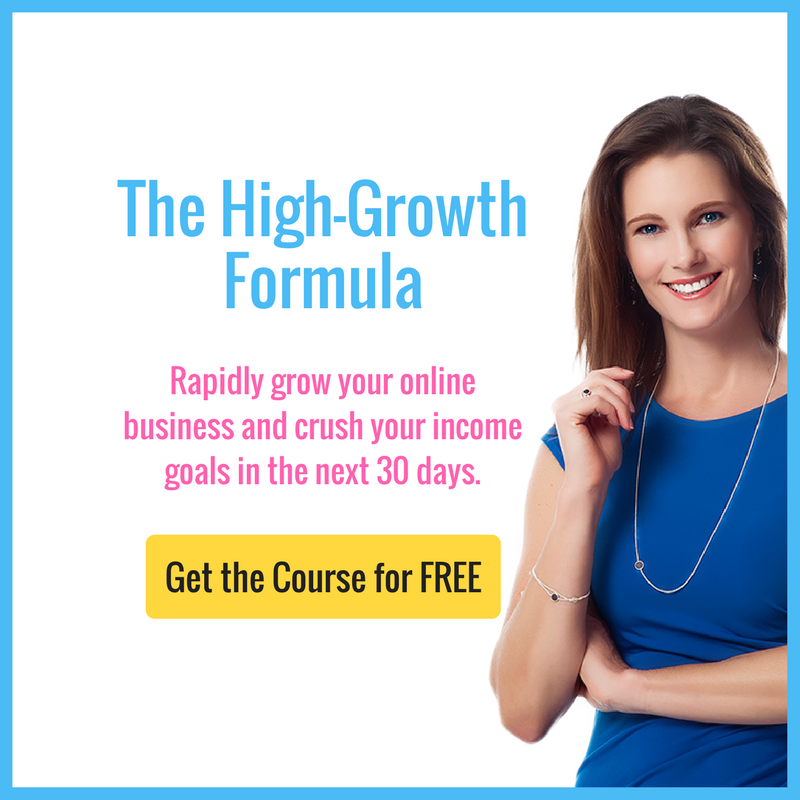 (Read the steps below or watch the video excerpt from my 6 Months to a 6-Figure Business online challenge). How many times have you set a goals and then completely forget about days later? This may seem obvious, but simply writing down your goals is something most people don’t do, even though it’s the first step to making your big dreams happen. Laying your goals down the table allows you to look at your vision concretely and create a plan to get there. It’s not to say that writing your goals down will solve everything, but it definitely gives you a much better chance of reaching them. In fact, a study by Dr. Gail Matthews of Dominican University in California found that simply writing down your goals increases your chances of reaching them by just over 50%. When writing down your goals, make them as specific as possible. For example, stating you’re going to “enroll a lot of clients” isn’t nearly as powerful as writing down the goal of enrolling 10 new clients at $5,000 each. Getting really clear and specific about your goals each step of the way also gives you a motivational boost in the small actions you take, knowing that as you cross things off your checklist, you’re making step-by-step progress toward reaching the goals that make achieving your big dreams possible. What’s the big vision your hold for yourself and your life? What kind of life do you dream of creating? You must be really clear on what it is that you want to create in order to create a plan that gets you there. The first step is to start with the end in mind by writing down the big vision or dream you have in detail. What does your life look like? What kinds of things are you doing? How are you spending your time? How is your life different because you’ve reached your goals or made that dream happen? How has your family been affected? How do you feel as a result of having this different kind of life? Spend 10 - 15 minutes writing it all down. When creating your dream-reaching plan, you always want to look at the milestone goals you set through the lens of the bigger vision you have for yourself and your life. Double-check your yearly goals, six-month and monthly goals to be sure that they support your overall vision. For example, if your vision includes enjoying a lot of time with your family, be aware of how much you heap on your plate and the timeframe you set for achieving the goals you’ve set. You don’t want to end up a giant stress-ball who works around the clock to reach your goals and ends up sacrificing a ton of family time to do it. To create smart milestone goals that are aligned with your overall vision, start off by drawing a pyramid. Your big vision from step one goes at the top to guide everything else below. Below the big vision is your first six-month goal. Then below that are two smaller “stacking” three-month goals. What you want to do is focus on making the first three-month goal happen instead of your larger six-month goal because working in 90-day increments greatly increases your chances of actually reaching your goals by making them more doable. Then, below each three-month goal will be three one-month goals. Take a look at the image below to get a clearer picture of how to do this. Once you’ve got your initial “goal pyramid” outlined, each monthly goal by asking yourself, “What are the tasks or activities I’d be focusing on right before I achieve my overall six-month goal?” That would be your month six goal. For example, let’s say part of your big vision includes making at least six-figures a year in income. Your six-month income goal would be to earn $50,000, but how are you going to make that happen? You need to clear on the way you can create that $50,000. For example, you could create and launch a new high-end signature program and have your first sale by the end of June. If that’s your goal, what do you need to be doing during the month of June to create that first sale? Let’s say it includes having a working sales and check-out process set up. That becomes your smaller milestone goal for month six. Then go through the same process to determine your month five goal (the month of May, in this example). What needs to happen in order to have people become a part of your sales process in June? That would include getting people to your sales page or on a personal call with you, which is part of marketing and promotion. So, your milestone goal for month five would include how you’ll promote your new program. For months four through one, repeat the process and continue to work backwards until you reach your month one milestone goal. After you’ve written down each part, review it to make sure that the order makes sense and that when you’re progressing from one goal to the next in a logical sequence. Now that you have your various milestone goals outlined, you want to get more specific. Break each one down into manageable, achievable and measurable smaller steps that will get you to your bigger six-month goal and support you achieving your big vision. To do this, you’re going to break down each monthly goal into smaller sprint goals, which can be weekly or bi-weekly sprint goals. Creating a plan this way allows you to see exactly what you need to focus on each week to move you forward step by step. Plus, you get to have quick wins that keep you motivated to keep going. Be sure to evaluate, measure and track your progress as you go so you can make adjustments to your course of action as needed. I’d love to hear what your big dreams and goals are for this year. What would make THIS year a huge success for you? Just share them in the comments below! And if you found this article helpful, please share it with your friends or on your social media channels. It might be just the thing that makes a huge difference for someone you care about! Simply click the share button at the bottom of the page or pin the images to your Pinterest account. Thank you! You’re passionately dedicated to doing work that sets your heart on fire, supports the kind of life you want to have and makes a big difference beyond the dollars it puts in your bank account. But, you're drowning in DIY how-to information and struggling to make progress. It's time to stop spinning your wheels and get your work out into the world! Learn more.